San Diego police issued an Amber Alert for 4-year-old Wesley Hilaire on Sunday, Sept. 13, 2015. 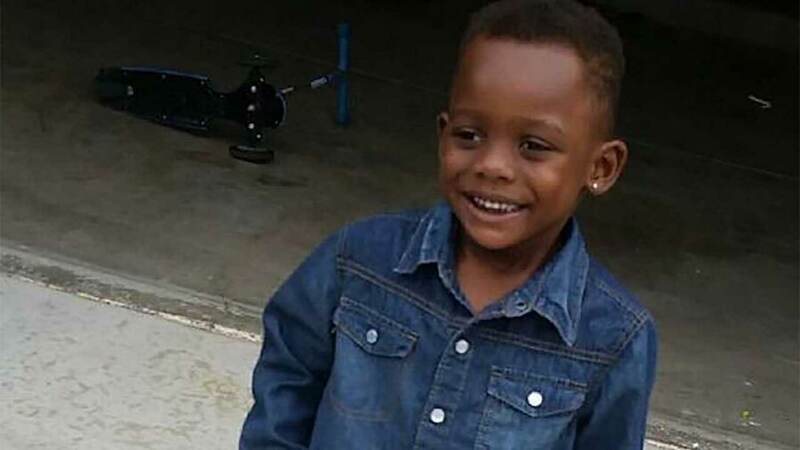 SAN DIEGO, Calif. -- The body of a missing 4-year-old boy who became the subject of an Amber Alert across Riverside, Orange and San Diego counties Sunday morning has been found by divers in Mission Bay. Wesley Hilaire was last seen walking near the water in the 2800 block of E. Mission Bay Drive at about 7:45 p.m. Saturday. Witnesses told San Diego police they saw the boy walk away with a man during a family outing at Mission Bay Park in San Diego. Hilaire was visiting the beach for the first time with his aunt and other family members. The family was packing up for the day when they noticed him missing, San Diego police told KGTV, the ABC affiliate in San Diego. San Diego police issued an Amber Alert for Wesley at 2 a.m. amid worries he'd been abducted while at the beach. The boy's remains were found 100 yards offshore by a Harbor Patrol sonar boat at 11 a.m. Sunday. Police say it appears he accidentally drowned. Hilaire's mother, Daniesha, spent all night passing out fliers for searchers. "If you see my baby, take him from whoever he's with. And to whoever has him, please let him go, let him go," she pleaded. When she learned of his death, she collapsed and was taken away on a gurney. The boy's grandmother began screaming. Hilaire's father is in the Navy and is currently on the aircraft carrier USS George Washington, which is headed for Japan. He has been notified and will be flown back soon. Anyone with further information on this case was urged to call 911 or the San Diego Police Department immediately at (619) 531-2000. KGTV and The Associated Press contributed to this report.